Many people come to America for one very important reason, to make a better life for themselves. America is a land of opportunity, with many different paths you can follow. While this can be exciting, it can also be challenging as you try to figure out what you want to do. 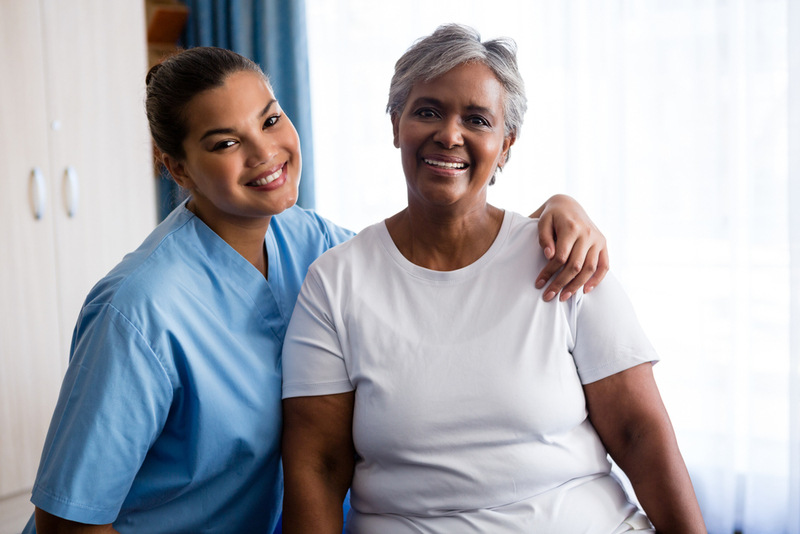 If you’re looking for a career that will give you the means to support your new life, and make a difference in your new community, look no further than becoming a nursing assistant! The Allen School is the perfect place to train as a nursing assistant because many of the instructors were once right where you are. Many of our faculty members are immigrants themselves, and have been through the process of healthcare training themselves, living proof that you can do it too! Our faculty is compassionate to the needs of their immigrant students, and work hard to overcome language and cultural barriers to ensure you get the education you need to become the best nursing assistant you can be and a thriving part of your new community! Nursing assisting is a rapidly growing field in the US. It’s expected to grow by 11% by 2026, making it one of the most sought-after career paths in the country. At The Allen School, we give you all the skills needed to get you into the nursing assistant field faster, with most training programs lasting less than a year. After you complete your course of study, you will have the tools you need to sit for the certification exam, opening the path for bigger and better career opportunities. The Allen School also offers career services for students who need more in-depth career advice, and financial aid services for students who qualify. At The Allen School, we are dedicated to your success! You came to America to make a difference, not just in your life, but in the lives of your community. The Allen School is the perfect place to start getting closer to that dream. Contact The Allen School today for a consultation and get ready to start your dream career!